During my time spent at Deep Focus, I worked on a number of leading consumer brands, including Nespresso, Nesquik, and Tombstone Pizza. 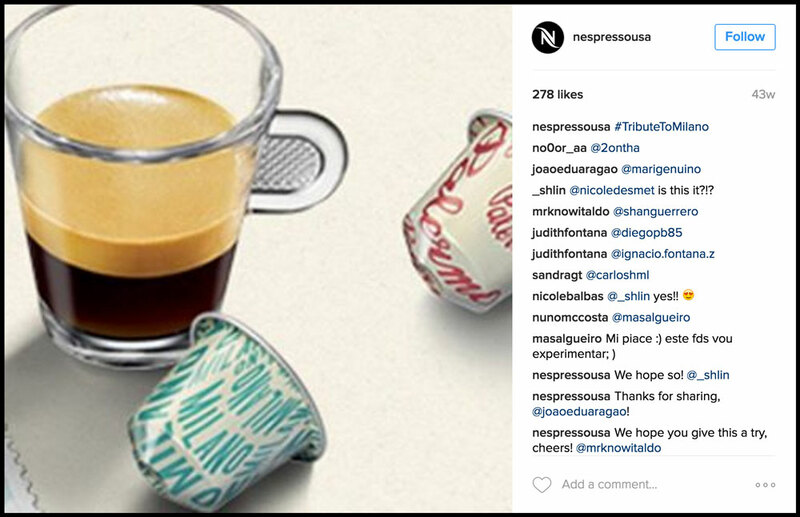 I wrote copy to accompany the launch of multiple Grands Crus across all of Nespresso's social accounts. 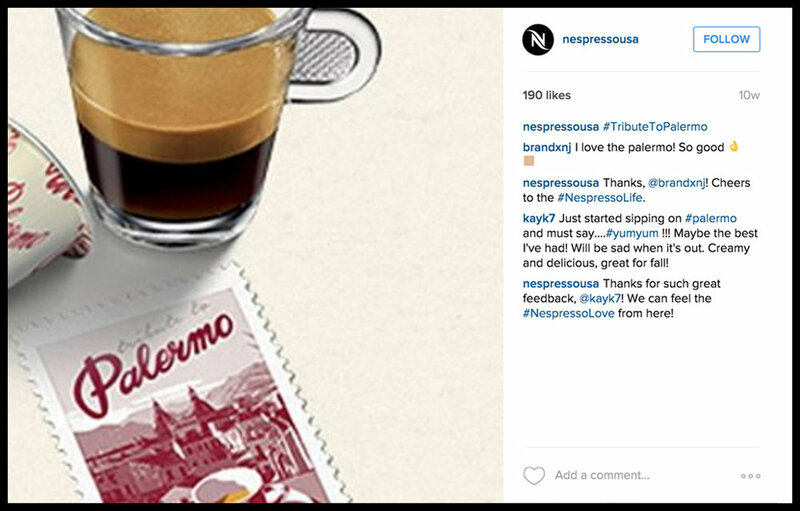 This included creating an Instagrid for special releases, generating social strategies, and writing daily copy that spoke to the brand's voice. Along with the creative team at The Moment Studio, I brainstormed image designs, ideated concepts, and oversaw final execution of the product. 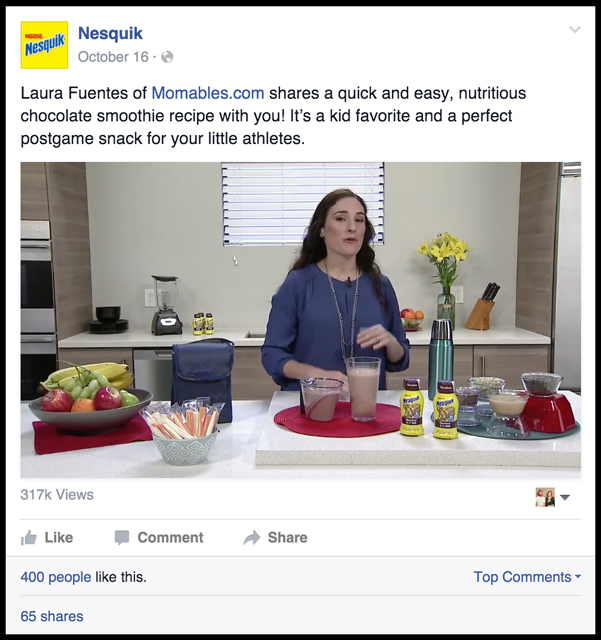 For Nesquik, we worked with soccer professionals and social influencers, Sydney Leroux, Alexi Lalas, and Laura Fuentes of Momables.com to align the brand with a healthy, post-workout routine. 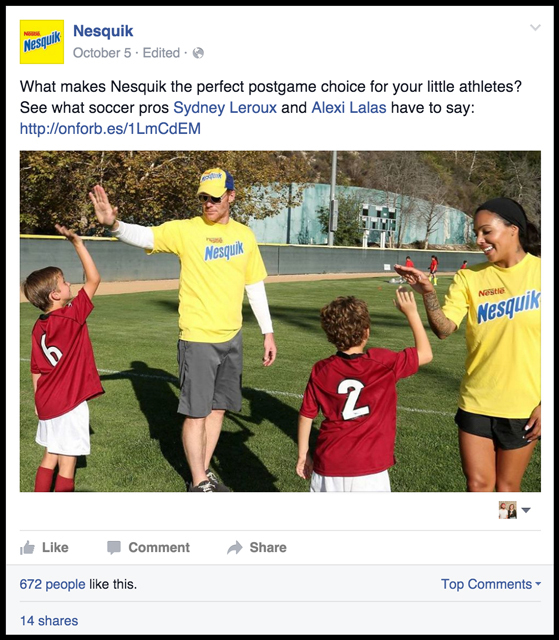 I wrote copy and selected images for use in Nesquik's Soccer Clinic campaign. The images provided and copy I wrote were meant to incite emotion in mothers while also teaching them about the nutritional values of Nesquik. I also helped conceive a number of Halloween related ideas for Tombstone Pizza leading up to the holiday. From pitching ideas during brainstorm meetings to writing copy for all social platforms, I contributed to the final product every step of the way. The images created in-studio were meant to trigger a feeling of nostalgia, while also showcasing the deliciousness and ease of preparing the meal.